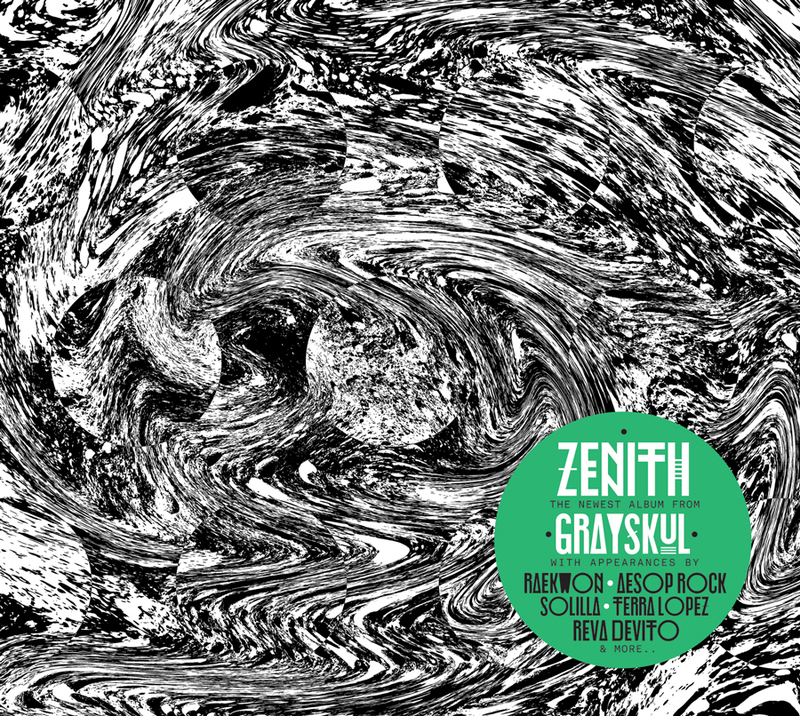 Fresh off the release of their new album, Seattle-based Onry Ozzborn and JFK of the hip-hop duo Grayskul have made Zenith available for streaming in full on Soundcloud for fans to check out before deciding to purchase it. It’s been clear since their formation that Grayskul, with their experimental, darker, mystical, and abrasive aesthetic, set out on a different path from their peers. After helping to form the Pacific Northwest hip-hop collective Oldominion, releasing two albums on Rhymesayers, and working on music outside of Grayskul, the two have reunited to release Zenith on Seattle-based indie label, Fake Four, Inc., which was conceived, written, and recorded entirely in Seattle. The 17-track Zenith not only showcases Onry and JFK’s ten-year experience in the indie rap game but it puts their inherent gift of storytelling at the forefront. Topics such as the effects of our obsession with social media, fatherhood, the examination of school shootings, and more are supported by incredible production from Aesop Rock, Smoke, Void Pedal, and Moodie Black as well as a spoken introduction by Raekwon. Zenith is as current and urgent as it is ahead of its time and artfully exemplifies Grayskul’s standing as being one of the more forward-thinking and futuristic-sounding rap groups of our time. 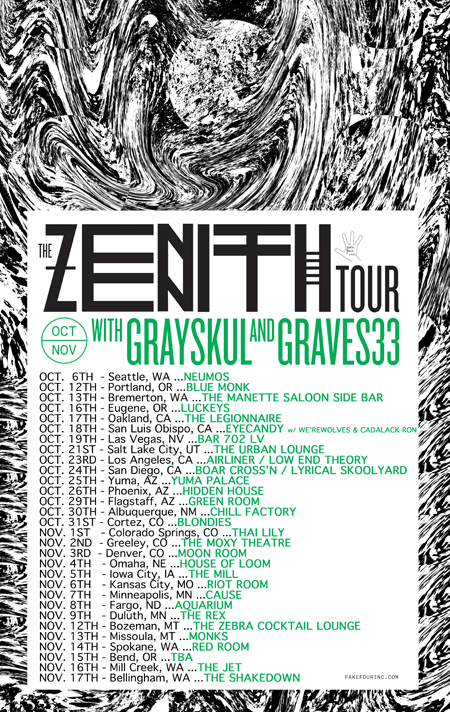 Grayskul have also just announced The Zenith Tour, starting October 6th in their hometown of Seattle and hitting stops all over the west coast until they reach Bellingham, Washington on November 17th. The 30-date tour features fellow Seattle rapper Graves33. Members of the West Coast rap collective Oldominion, rappers JFK and Onry Ozzborn are now a two-man hip-hop team known as Grayskul. From their first tour in 2004 to their latest album Zenith, Grayskul have a decade of experience in the indie rap scene under their belts. In 2005 they released their first label-backed album, Deadlivers, on underground hip-hop label Rhymesayers Entertainment. They have since released a number of tour-only albums as well as releases through Rhymesayers, and a collaborative album with producer Maker titled Graymaker. Grayskul have recently signed to Fake Four Inc., and have released their new album Zenith through the label. The albums guests include Aesop Rock, Raekwon, Solilla, Moodie Black, and sound engineering by Zebulon Dak (whose resume includes working with Aceyalone and Tech N9ne).